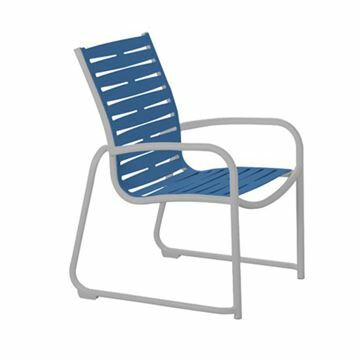 Hotels use Commercial Vinyl Strap Chairs as their swimming pool furniture for their long-lasting comfort and cost efficiency. 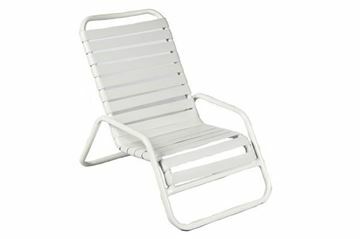 This timeless style pool furniture, made with virgin vinyl straps attached to a commercial aluminum frame, are popular at water parks, hotels, resorts, and community pools. 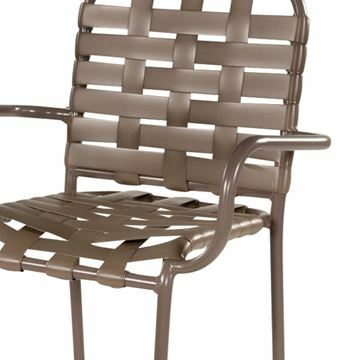 All straps are double wrapped for strength that is sure to last. 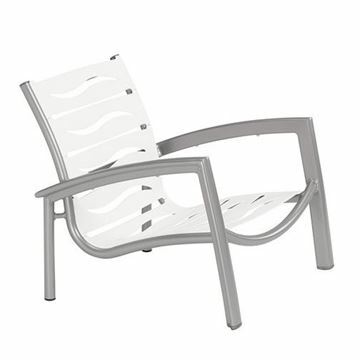 The St Maarten, St Lucia, and Barbados are top Island styles. 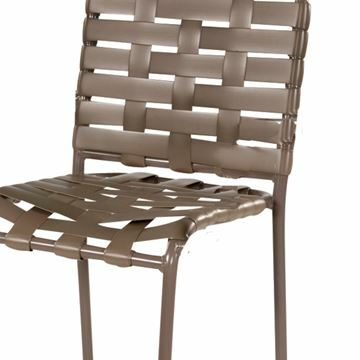 See our article on how to Replace Strap Furniture to keep your furniture looking new for decades! 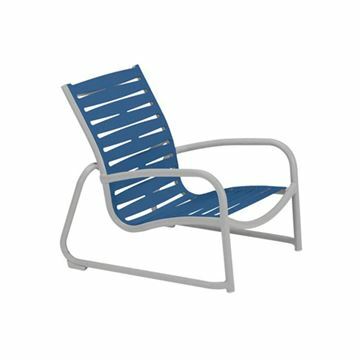 St. Maarten Sand Chair, Pool Furniture with Vinyl Crossweave Straps and Aluminum Frames, 11 lbs. 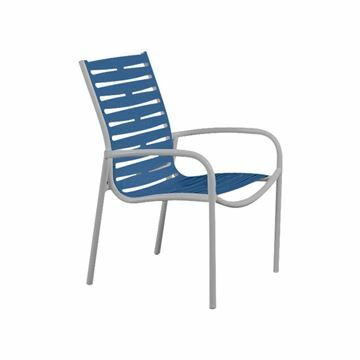 St. Maarten Poolside Bar Stool with Arms, Crossweave Vinyl Straps with Aluminum Frame, 20 lbs. 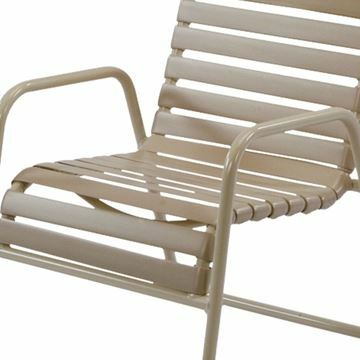 Tropitone Millennia EZ Span Vinyl Strap Sand Chair with Stackable Aluminum Sled Base, 10 lbs. 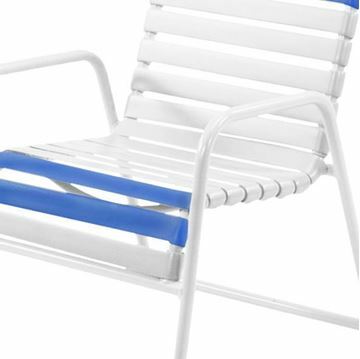 Tropitone South Beach EZ Span Vinyl Strap Spa Chair, Stackable, 12 lbs. 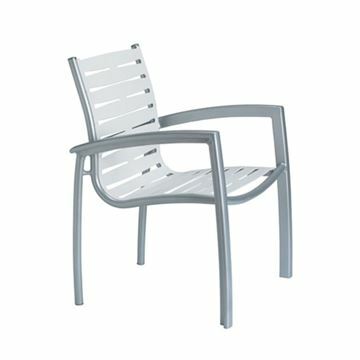 Telescope Kendall Strap, Balcony Height Stacking Café Chair with Aluminum Frame, 27 lbs. 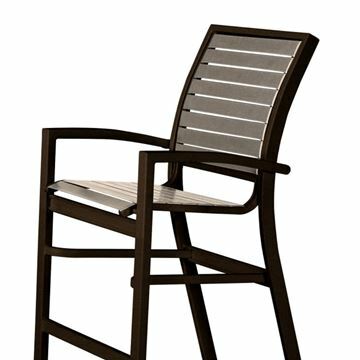 Telescope Kendall Strap, Bar Height Stacking Café Chair with Aluminum Frame, 29 lbs. 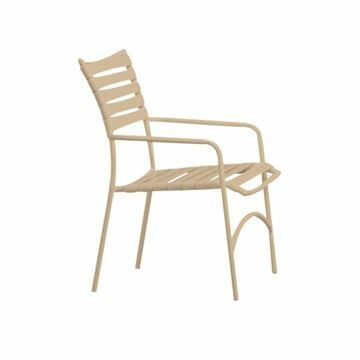 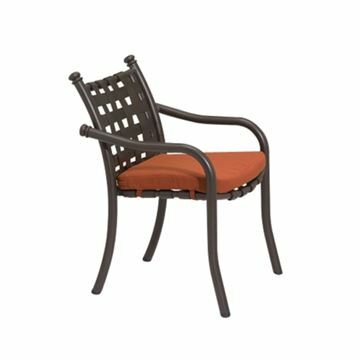 Telescope Kendall Cross Weave Strap Stacking Balcony Height Stacking Cafe Chair with Aluminum Frame, 29.5 lbs. 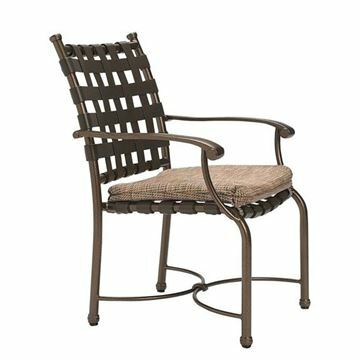 Telescope Kendall Cross Weave Strap Stacking Bar Height Stacking Cafe Chair with Aluminum Frame, 29.5 lbs. 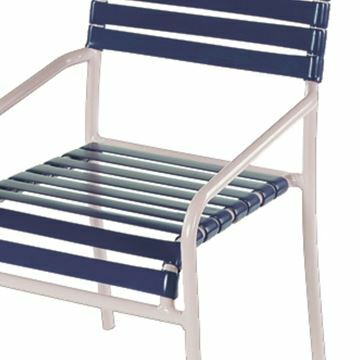 Why buy from Pool Furniture Supply? 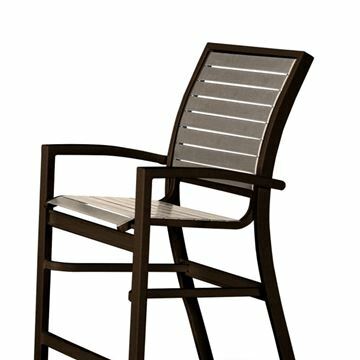 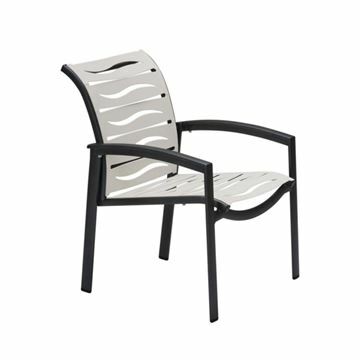 Our chairs are unlike imported cheaper chairs that are reinforced with steel that rusts and stain pool decks. 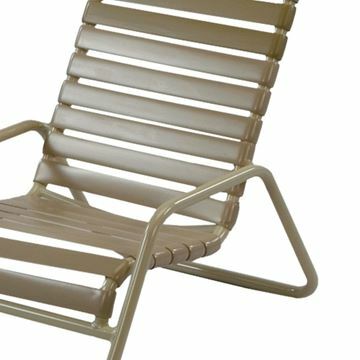 Why buy pool furniture every year? 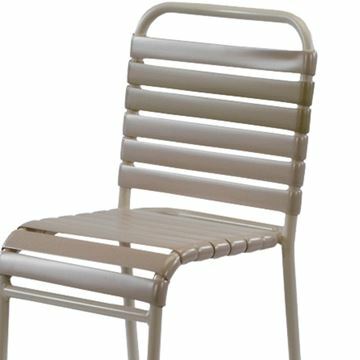 Instead simply buy the best American made vinyl strap chairs with a combination of quality and price you won't find anywhere else. 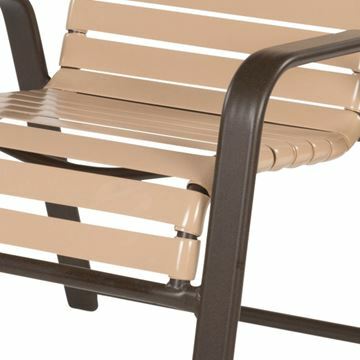 Our strap furniture is low maintenance compared to other products. 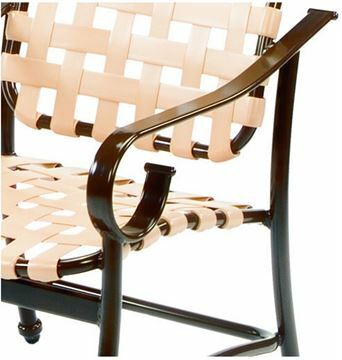 For the vinyl straps use a mixture of water and a light detergent. 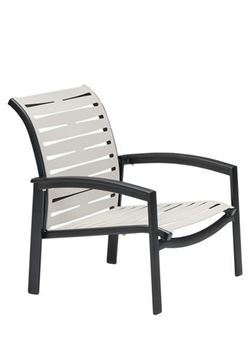 For long-term quality avoid using harsh chemicals or abrasive brushes.